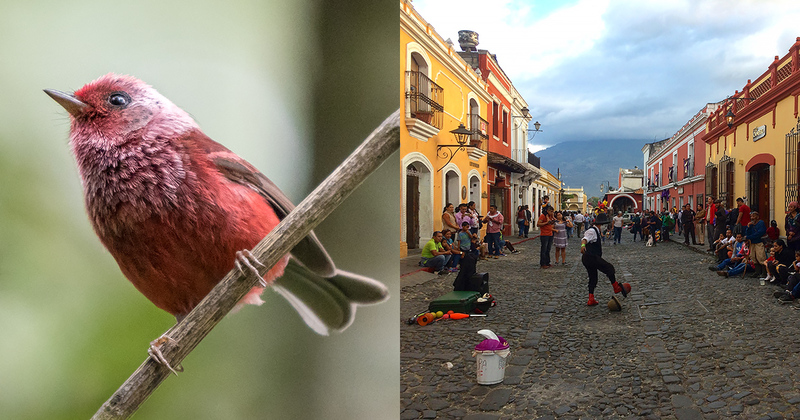 Clockwise from upper left: Antigua Guatemala, Blue-throated Motmot, Sunset over Lake Atitlan, Cinnamon Hummingbird. 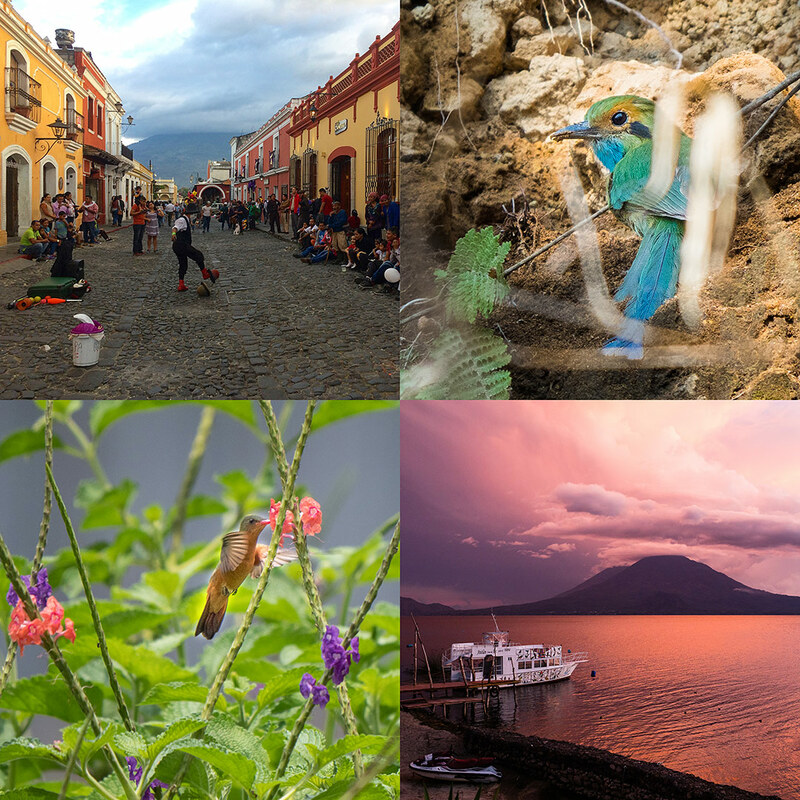 Join us next March for a 10-day journey to Guatemala that will include great birding, scenery, food, world-class coffee, and cultural experiences. 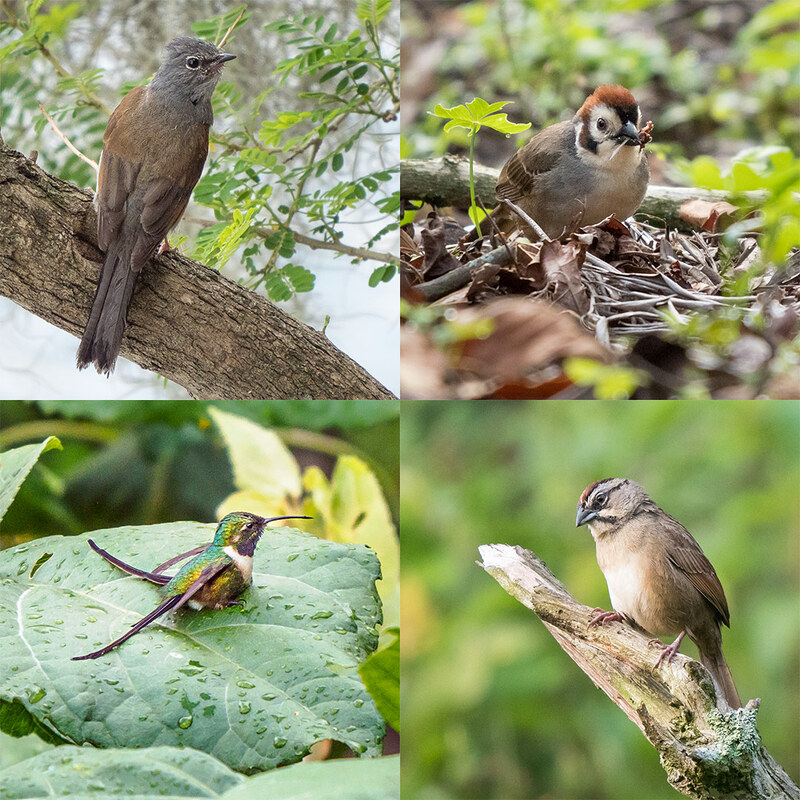 Along with the best montane birding opportunities in this scenic country, we will take time to experience the wonderful and colorful living culture of the Maya. We will visit Mayan markets, learn a bit about Guatemalan people and their Mayan culture and also visit the world renowned colonial city of Antigua and the picturesque Lake Atitlan (where we will also have the special opportunity to participate in the first ever Guatemala Bird Fair). 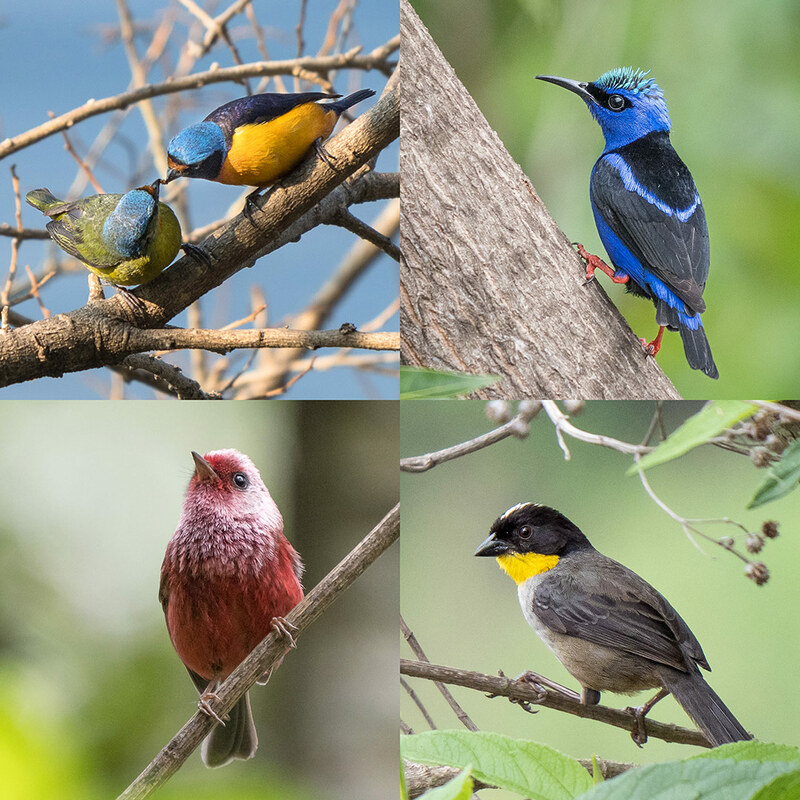 Clockwise from upper left: Elegant Euphonia, Red-legged Honeycreeper, White-naped Brush Finch, Pink-headed Warbler. Guatemala is a fantastic country with a diversity of rich habitats for birds, from montane cloud forest to lowland forest. Led by Chris Fischer, this tour specifically focuses on the highlands of the Chiapas-Guatemala Highlands Endemic Bird Area, where many regionally endemic birds can be found. Our target species will include the Highland Guan, Ocellated Quail, Fulvous Owl, Black-capped Swallow, Black-throated Jay, Bushy-crested Jay, Rufous-browed Wren, Rufous-collared Robin, Blue-and-white Mockingbird, Pink-headed Warbler, Azure-rumped Tanager, Bar-winged Oriole, and Black-capped Siskin, among others. There will be an option for those who are physically fit to endure a steep and difficult hike up a volcano in search of the rare but spectacular Horned Guan. 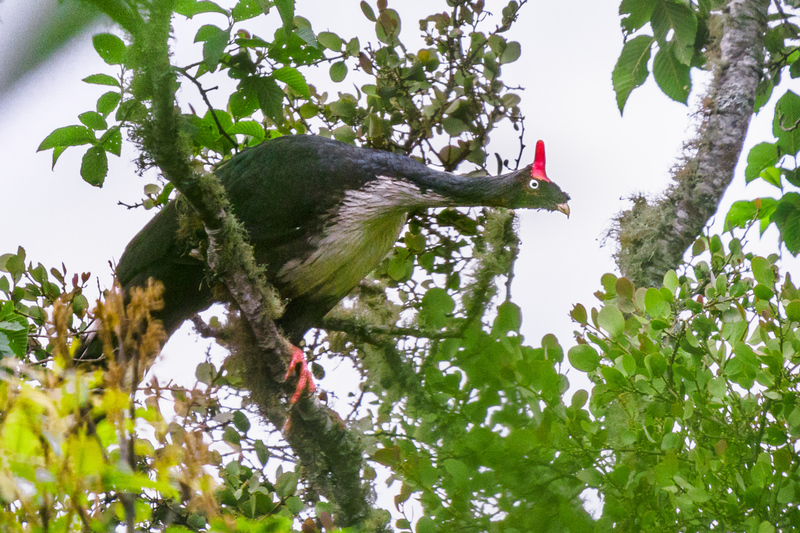 Horned Guan, locally known as “Pavo de Cacho,” on Cerro Paquisis, near Lake Atitlán in Guatemala. Hummingbirds will make an impression with a great diversity of shapes and colors. Some lodges have started using hummingbird feeders, so species that were once quite difficult to find are now much more reliable. These include the Rufous Sabrewing, Slender Sheartail, Green-throated Mountain-gem, Azure-crowned, Blue-tailed, Amethyst-throated, Garnet-throated, Sparkling-tailed, Wine-throated as well as tiny and local Emerald-chinned hummingbirds! We will have a great chance to leisurely observe many of these little gems. 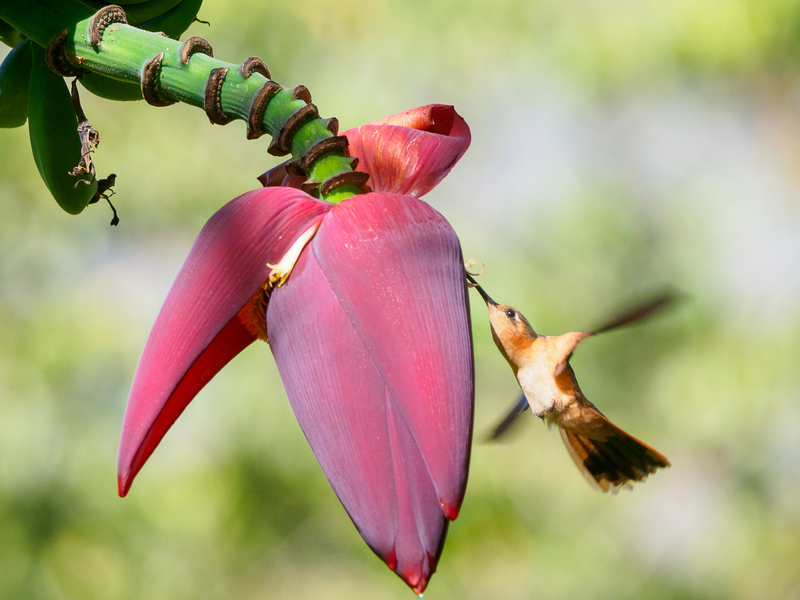 Rufous Sabrewing feeding on a banana flower at a coffee plantation near San Juan La Laguna, Guatemala. Part of the focus of this tour will also be to enjoy, study and learn about North American birds in their wintering areas. Guatemala is vital to northern migrants, including many species that summer here in northeast Pennsylvania. Seeing “our” birds in a different context adds immensely to a fuller understanding of their lives and also of how these birds unite people across borders. Joining this tour will make you a partner in helping international conservation. 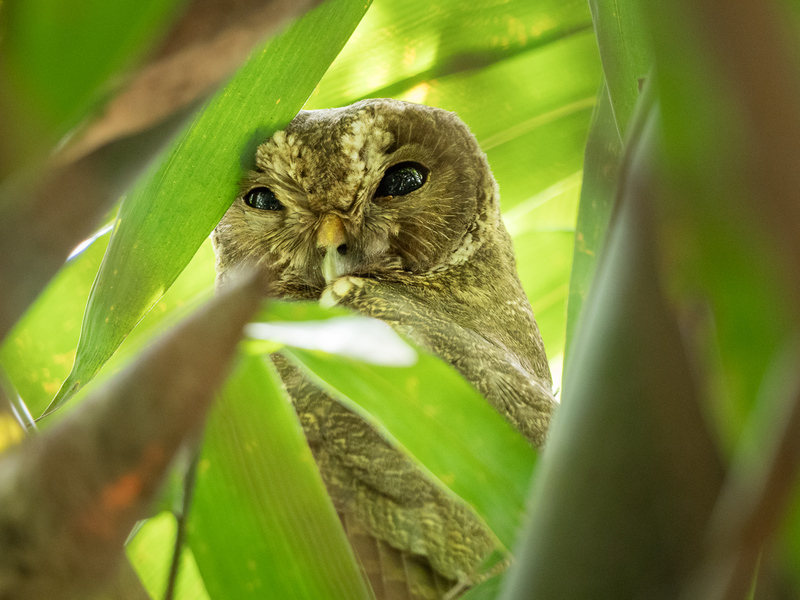 The National Audubon Society and Asociación Vivamos Mejor, based in Panajachel on Lake Atitlan, have teamed up to train Guatemalans to become birding and nature guides. Along with our primary tour leader, we will have their local guiding help throughout this trip, and in turn are helping them make a living while protecting a healthy and diverse ecosystem. Birders who choose to take these tours in order to see and enjoy the natural riches will have a direct economic impact on the local people resulting in preservation of local habitats that maintain a healthy, viable ecotourism industry. To reserve your place on this tour, contact Chris Fischer at (570) 446-9597 or cfischer@nepaaudubon.org. This tour will be limited to a maximum of 8 participants. DAY 1: Friday, March 9 – WELCOME TO GUATEMALA! Arrive at the International Airport La Aurora in Guatemala City, where you will be met by your guide upon arrival. Our tour begins with a short 45-minute flight to Flores in the evening. Greeting at Flores airport and transfer to the hotel by hotel shuttle. Following an early breakfast at the hotel, we’ll make our way to the atmospheric lakeside site of Yaxhá, a former ceremonial center and city of the pre-Columbian Maya civilization. This is the third-largest archaeological site in Guatemala with more than 500 structures, including about 40 stelae, 13 altars, 9 temple pyramids, 2 Mesoamerican ballcourts, and a network of causeways. Yaxhá is situated within the Maya Biosphere Reserve and is also part of the National Park Yaxhá-Nakúm-Naranjo, which protects lowland rainforest. This is a terrific location for parrots, with passing flocks easily observed from the top of the temple in the mornings and evenings – including Red-lored, White-fronted, White-crowned, and the less common Mealy parrots. We’ll also be sure to check for raptors resting on top of the nearby trees. 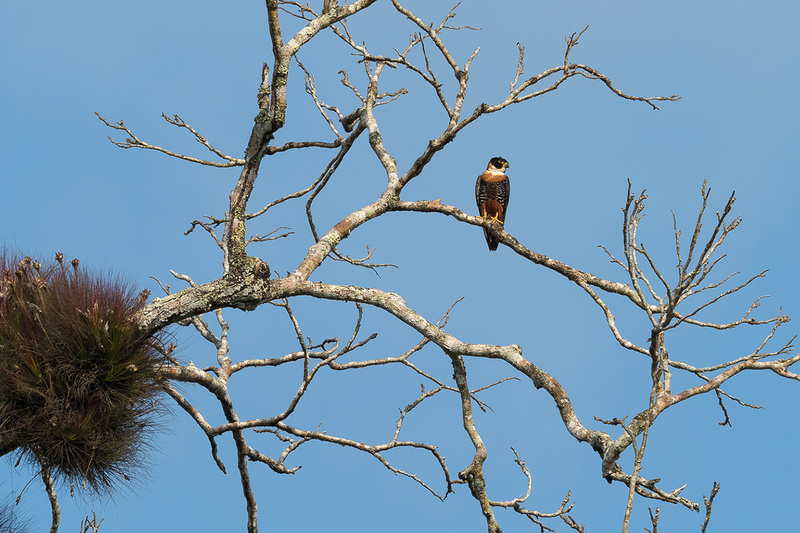 Among the possibilities are Ornate Hawk-Eagle, Black Hawk-Eagle, Plumbeous Kite, as well as many migrant raptors that occur in the area as their wintering grounds. We continue our way to Tikal, the largest excavated archaeological site in Mesoamerica with more than 3,000 structures in an area covering more than 6.2 square miles. Once one of the largest of the Classic Maya cities, Tikal was the first site of the Maya civilization declared a World Heritage Site by UNESCO in 1979. In 1955, the area around Tikal was declared as the Tikal National Park, with the preserved area covering 220 square miles. The park is within is part of the Maya Biosphere Reserve, the largest Neotropical rainforest north of the Amazon basin. 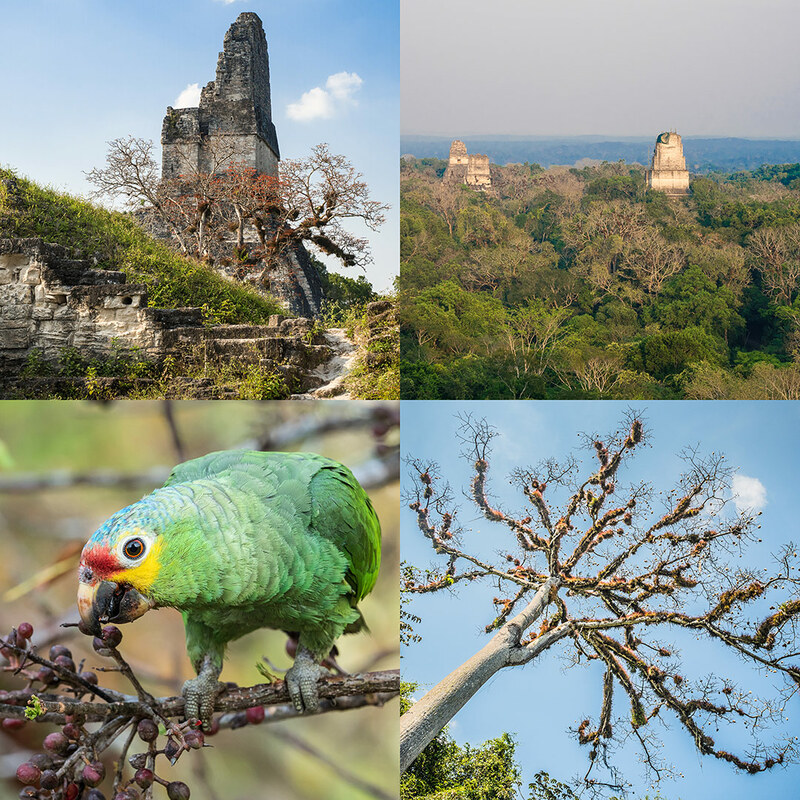 Clockwise from upper left: Tikal ruins, View from Temple IV, Kapok Tree (Cieba Tree), Red-lored Parrot. Home to more than 400 species of birds, there’s arguably no other place on earth where you can combine birds with archaeology on this scale! We will have the opportunity to explore the trails inside the jungle and climb temples. As with Yaxhá, ancient structures amidst the forest offer great opportunities to see canopy birds and regional endemics like Ocellated Turkey and Black-throated Shrike-Tanager. Our target bird here will be the rare and magnificent Orange-breasted Falcon. In addition to the birds, we should see a variety of wildlife. 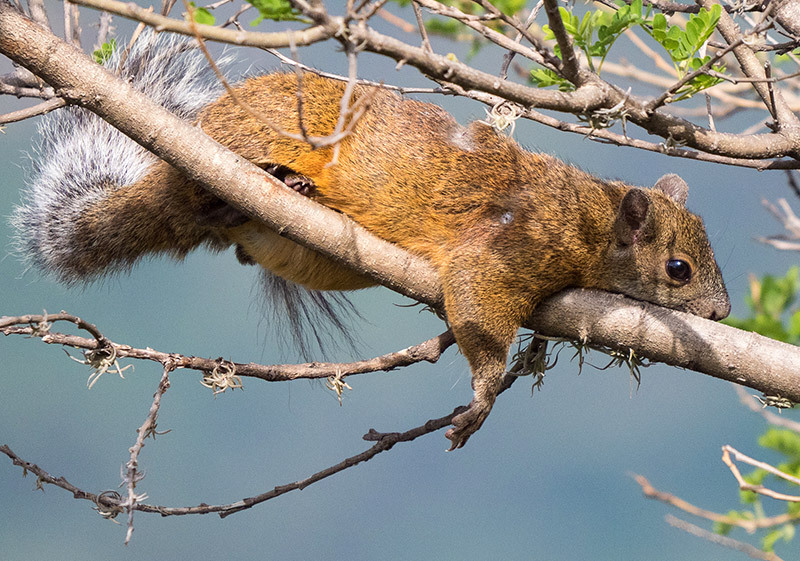 White-nosed Coaties, Agouties, and Gray Foxes are commonly observed walking around the park grounds, and Geoffroy’s Spider Monkeys and Mexican Black Howler Monkeys in the forest canopy. While rare, it is also possible to see jaguarundis and jaguars! Our lodge is located just outside the park gate, allowing us an early morning start. Following an early breakfast at the hotel, we’ll continue to explore the ruins of Tikal to cover more of the forest and look for species not seen before. Afternoon transfer to Flores Airport for the 45-minutes flight back to Guatemala City followed by transfer to Antigua, Guatemala. 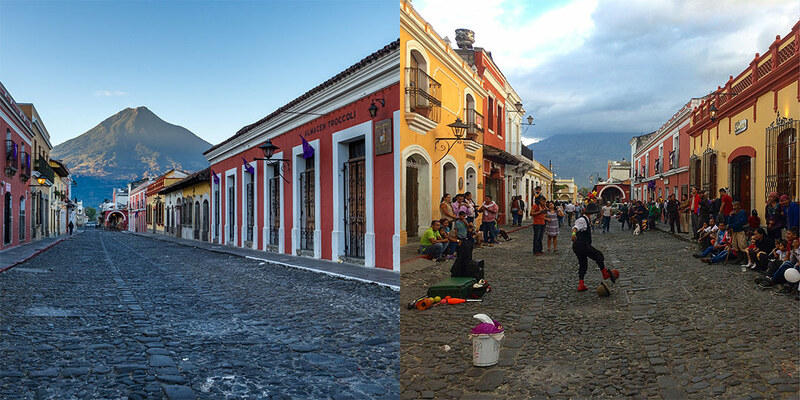 Antigua Guatemala is the most important and enchanting city of colonial Guatemala. Founded by the Spaniards in 1543, Antigua is now a beautiful blend of ruins, restored colonial buildings, and new buildings in colonial style. It was declared “Monument of America” in 1965. Today, we’ll start with a half-day walking tour of Antigua (approx. 3-4 hrs). We’ll visit the Central Plaza, surrounded by the antique Cathedral, the Municipal Government Building, and the Palace of the Captains General; colonial churches and monasteries. In the afternoon, we will visit La Azotea Coffee Farm and Museum, well known in Antigua for its high-quality coffee, long time tradition and commitment to Guatemalan culture. The Coffee Museum exhibits introduce you to the history of coffee in Guatemala and explain the growing and processing of the golden bean. Mottled Owl, Los Tarrales Reserve, Guatemala. We continue our journey towards Los Tarrales Reserve, a private nature preserve and shade coffee plantation located on the southeastern slope of Atitlán Volcano. At just over 2,000 ft. in elevation, this special location lies in the heart of the Pacific foothills where the lowlands of the Pacific coast meet the western highlands. With access to a variety of habitats, Los Tarrales has an exceptional bird list. We’ll enjoy watching Orange-chinned Parakeet, Cinnamon Hummingbird, White-throated Magpie-Jay, Rufous-naped Wren, Red-legged Honeycreeper, Yellow-throated Euphonia, and Spot-breasted Oriole among others. We’ll also be looking for such species such as Orange-fronted Parakeet, Long-billed Starthroat, Barred Antshrike, Common Tody-Flycatcher, Yellow-olive Flycatcher, Masked Tityra, Long-tailed Manakin, Tody Motmot, White-throated Thrush, White-winged Tanager, Blue Seedeater, and Bar-winged Oriole. In the afternoon, you’ll have the opportunity to take a tour to observe the traditional process of coffee production. Experts will guide us through the gourmet coffee cycle, starting in the nursery and following these small grains in their process of growth, careful collection and selection. 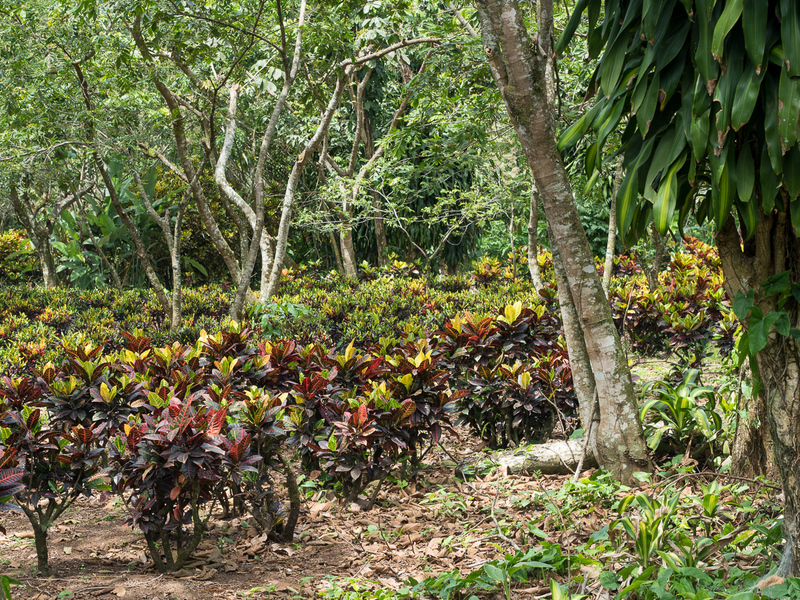 We will discover how the unique characteristics of Guatemala’s climates and terrain combine to create the perfect conditions for growing the best coffee beans. Afterwards, we’ll continue our journey towards Panajachel, one of twelve lakeshore villages surrounding Lake Atitlán. Clockwise from upper left: Gray-backed Solitaire, Prevost’s Ground Sparrow, Rusty Sparrow, Slender Sheartail. We’ll travel by boat across the calm waters of Lake Atitlán to visit the fascinating lakeside Mayan village of San Juan La Laguna. Enjoy this bustling indigenous community where weavers work the colorful textiles. We will visit the community project of Rupalaj K´istalin (meaning “Mayan Face” in Mayan Tz’utujil language and referring to the hill overlooking the village), showcasing the daily activities, traditions, culture, handicrafts and art work of the Mayan Tz’utujil culture. We’ll return to Panajachel, where in the evening we will participate in the welcome dinner kicking off the inaugural Guatemala Bird Fair! 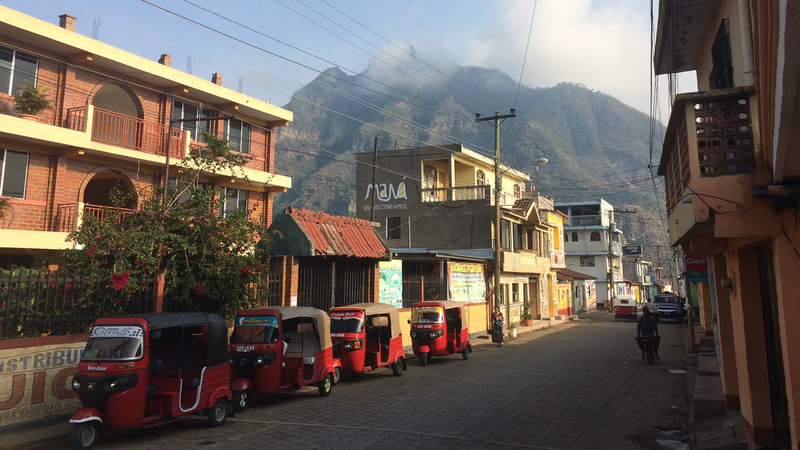 The town of San Juan la Laguna, Guatemala. 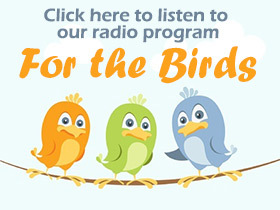 Today you will be able to choose another one of the sites listed above for a birding day trip. Afterwards, we will depart towards to Guatemala City, where you will spend the last night of your visit in a comfortable hotel in the city. The tour officially ends upon arrival at our hotel in Guatemala City. DAY 10, Sunday, March 18 – GOOD BYE GUATEMALA! Breakfast at the hotel. The hotel offers a free hotel shuttle for when you need to get to “La Aurora” international airport for your flight home. Tips for guides, driver, hotel maid, etc. Please contact Chris Fischer at (570) 446-9597 or cfischer@nepaaudubon.org. This tour will be limited to a maximum of 8 participants. 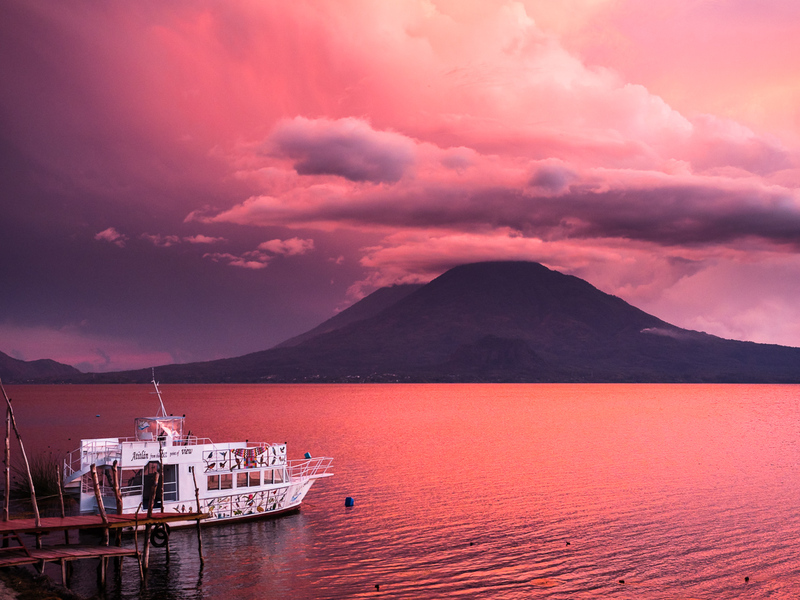 Sunset Over Lake Atitlan, Guatemala. All photographs on this page are the copyright of Chris Fischer Photography and may not be used in any manner without express permission.